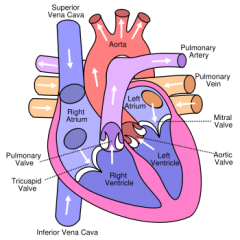 The symptoms of heart conditions can be distressing to patients and their relatives. Chest pain, breathlessness, palpitations and blackouts may all be due to heart problems and should be promptly investigated by a specialist. Dr Asif Qasim is a consultant cardiologist (heart specialist) who offers private practice cardiology serivces in central and south London. He has developed this website to help patients and their relatives to understand common heart conditions and to explain the tests and treatments that may be needed. Please feel free to contact Dr Qasim at pa@privatecardiology.com if there are any sections of this website that you think can be improved. Alternatively please telephone his PA on 0208 401 3812 and Dr Qasim will return your call. There may be specific conditions or situations that have not been included that you would like to know more about, and your feedback would be aprpeciated. For doctors and health care professionals interested in cardiology and cardiovascular research please connect with medshr.net - the online professional network for discussion, education and training in cardiology. Dr Qasim has been involved in medical education and online technology for over a decade. To connect on Linked In please click here. Dr Asif Qasim's personal website has links to all online media and blog articles. Dr Qasim continues to work as a full time consultant cardiologist with NHS and private practice in south and central London, and has also been appointed as Clinical Director in Croydon. Recently Pradaxa (Dabigatran) was approved by NICE in the UK as an alternative to warfarin for certain joint replacement patients. Pradaxa may soon be available for patients with other conditions such as atrial fibrillation. The Over and Under pericardium covered stent is designed to improve the outcome of vein graft treatment. Find out about new treatments for narrowed bypass grafts and small arteries designed to improve blood flow to heart muscle and reduce angina.